You must be a member of the London New Friends Group to attend this activity. Would you like to join this group? Sotheby's is one of the world's largest brokers of fine and decorative art, jewelry, real estate, and collectibles established in Protected content Britain. The company's services range from corporate art services to private sales. It is named after one of its cofounders, John Sotheby. It is the world's fourth oldest auction house in continuous operation, with 90 locations in 40 countries. Before actions the beautiful works of art can be seen in the exhibition rooms of Sotheby's. This time a number of important examples of Impressionist and post-Impressionist art by Edgar Degas, Pierre-Auguste Renoir, Frédéric Bazille, Gustave Loiseau, Henri Cross , Monet, Giacometti & a selection of remarkable drawings by Gustav Klimt and Egon Schiele and works by Pablo Picasso and Marc Chagall. The Surrealist offering encompasses a significant array of paintings, works on paper and sculpture by seminal artists of the movement, including notable examples by Salvador Dalí, Man Ray and Joan Miró. 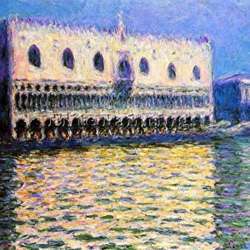 Do not miss the best impressionist exhibitions in town for free of charge and this unique experience in the world's fourth oldest action house!